Traveling around the Philippines is just one of our agendas, aside from studying English. 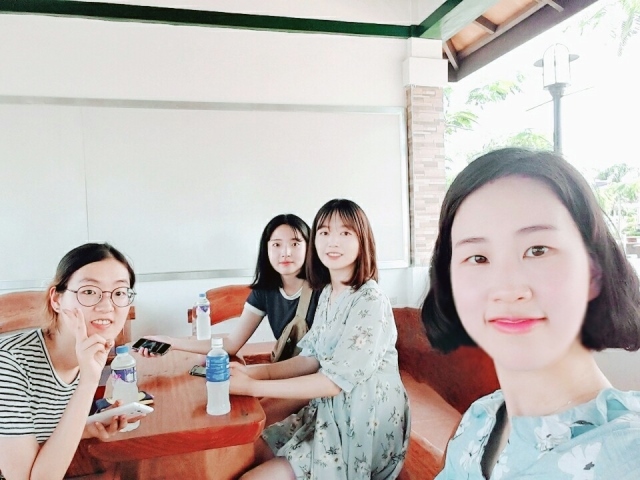 As Chonbuk National University students who are enrolled in Pines Academy, our first goal is studying English in Philippines and working as interns on different companies. On the other hand, we also want to travel the Philippines and experience new things. 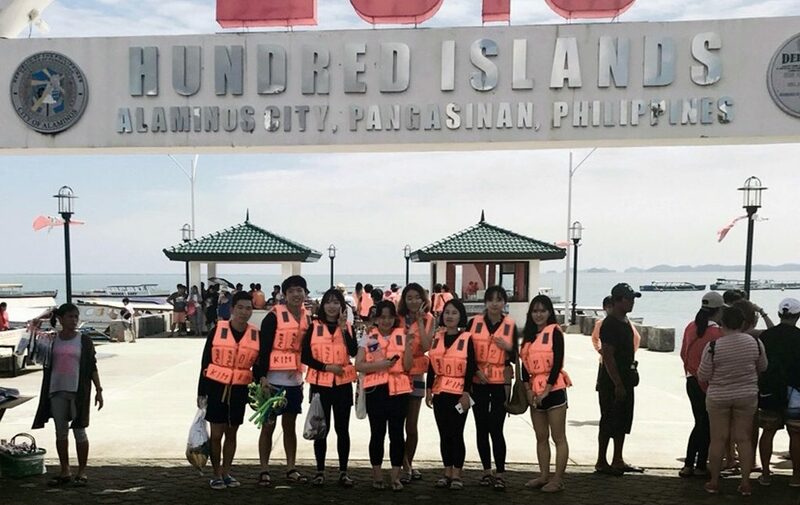 After planning for a long time, we went to Hundred Islands. Before the trip, we read travel reviews online for us to have an efficient preparation. We were able to obtain accommodation and van in affordable prices. 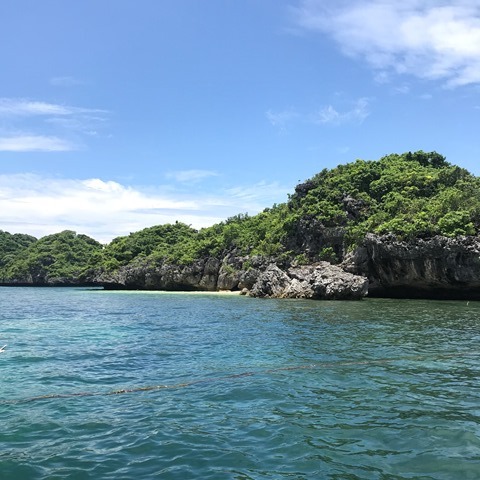 Check out our itinerary and learn from our Hundred Islands travel recommendations. 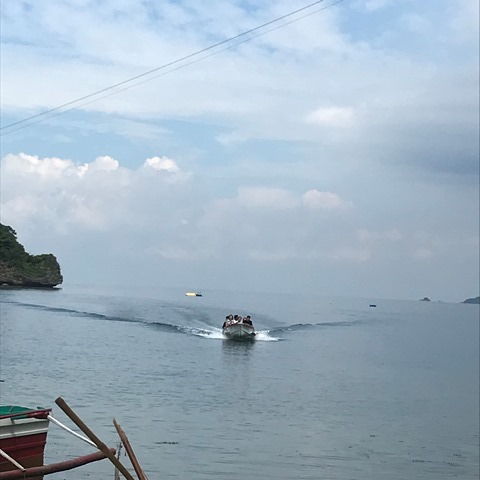 It takes about 4 hours from Baguio to reach Hundred Islands. In order to swim and play on a sunny day, we left Baguio at 4am. It would be difficult to commute and take a bus ride going there; it’s a good thing we rode on a van for this group travel. Our driver picked us up in our hotel, and it was very comfortable and convenient for the group. He is skilled in driving, so we felt relaxed during the travel time. After traveling down the winding mountain road, we woke up seeing the pristine beach in Alaminos. We dropped by the market that is nearby our accommodation and bought shrimps, charcoal for barbecue party and a variety of foods. 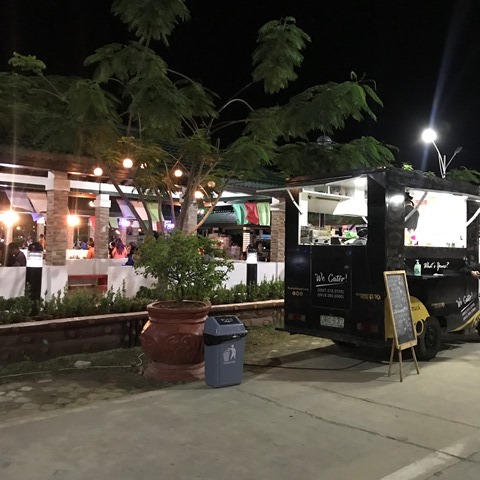 Because this market is enormous, there are a lot of items you could buy from grocery items to clothes, accessories and other things you need for your stay. It was an interesting place where we bought things that we needed to experience the local mood. Hundred Islands is a national park composing 124 islands. After renting life vests and snorkeling equipment, we went for a boat ride and saw the group of beautiful islands. If you want to see the best island you can ask the boatman to tour you around the recommended island. For Bella, our Christian friend, we stopped by the island wherein we saw a huge statue of Jesus. This island has serene mood and is good for hiking, so I want to recommend the place if you want to pray and have a calm mood. After that, we moved to another island for other activities. 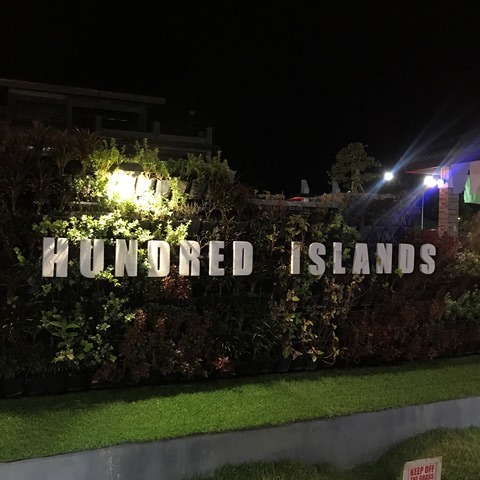 There are a number of activities around Hundred Islands. On each island, activities are conducted according to the island’s natural environment. My friends have tried cave diving. I was a bit scared and preferred swimming more, so I swam in the cool sea next to the diving zone. My friend Quinton dived there, and he told me that he saw many bats in the cave. It was his first time to go for a dive in a cave, so he felt thrilled as it’s deeper than what he thought. The second activity was ‘snorkeling’. To see a lot of fish, we were taken by the boatman in the middle of the sea. At first, we saw only a few fish, but when we tried to reduce the movement and concentrate, we saw fish that looks like” NIMO”. Next, we took a ‘banana boat’ ride. I’ve also tried a banana boat ride in Korea. 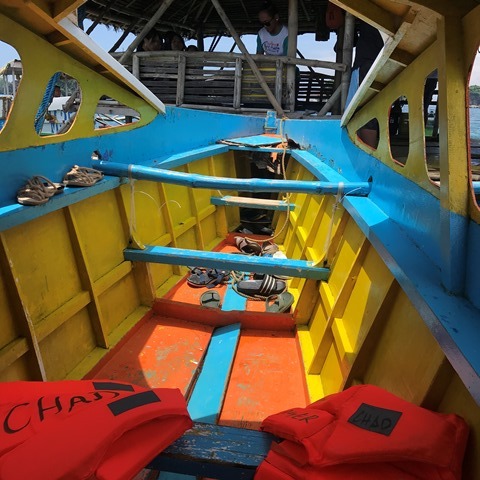 I think the banana boat ride in the Philippines is more efficient than in Korea because the idea there is only for thrill. 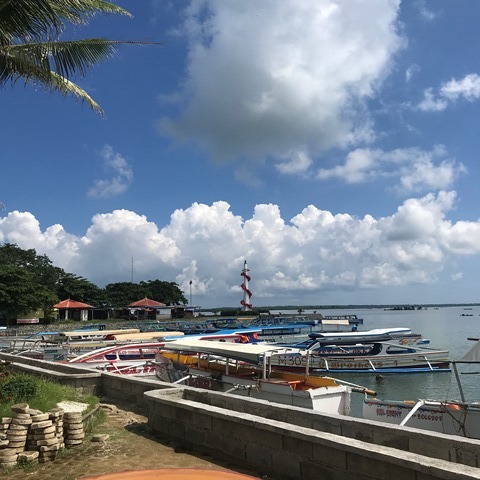 The banana boat ride in the Philippines includes seeing island attractions. Lastly, we tried ‘zip-line’. This is an activity that transports you from one island to another with the use of long and strong metal cable lines and pulleys. It felt like flying over the sea while seeing an amazing view and experiencing joy over the speed while feeling the strong cool wind. We came back to our accommodation after finishing the activities. Our accommodation was not far from the sea, so we were able to go home thru a 10-minute walk. We appreciate our housekeeper for helping us in various ways by handling our luggage, ensuring our safety during the morning island hopping, and making sure we don’t experience any type of inconvenience.